In this whimsical children’s chapter book, ten-year-old Peter Augustus Duchene is an orphan living with an old soldier who is trying to prepare him for a military career. Peter, however, is not inclined to the brutality of war, and dreams of finding the sister he was separated from years before. 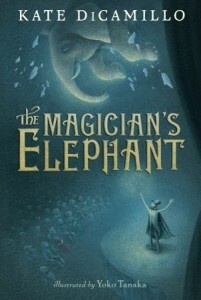 When he happens upon a fortuneteller’s tent one day, he asks her how to find Adele, and she tells him to follow the elephant. 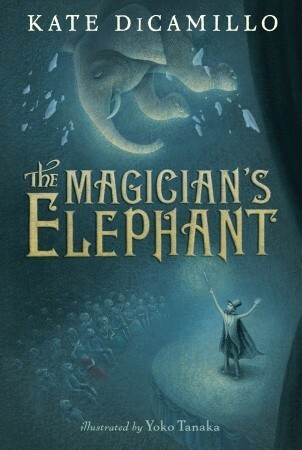 What seemed like nonsense at the time quickly turned into excitement as shortly after a magician performing in the opera house indeed conjured an elephant–directly on top of a noblewoman, injuring her and landing himself in jail. Peter then had to find a way to see the elephant, in hopes that it would lead him to Adele. This story is set in the fictional town of Baltese, which the author has stated in an interview is similar to Bruges, and seems to be mid-to-late nineteenth century era. Its charming writing style will encourage young readers to ask questions and remain open-minded to extraordinary possibilities. One character learns that achieving greatness isn’t the key to a fulfilling life, while another finds that closing oneself off after loss does not solve the problem. There are numerous life lessons in the pages, and they are written in such a way to delight readers young and old who enjoy fanciful, imaginative stories.